US President Trump has warned that tough talks lie ahead on the future of NAFTA, indicating that the US could withdraw. Trudeau has said he is optimistic about the deal's fate but admitted there was room for improvement. Hosting the Canadian prime minister at the Oval Office, Trump said the US had "a tough negotiation" over NAFTA ahead, which also includes Mexico, adding that it had to be fair to all countries. The US president has made revamping the trade pact with its neighbors and reducing the country's trade deficit a pillar of his nationalist economic agenda. Trump and Trudeau met as negotiators from the three NAFTA countries gathered in the Washington suburb of Arlington to get the next round of trade talks under way. However, in his typically uncompromising approach to diplomacy, Trump told reporters later that "if we can't make a deal, it'll be terminated and that will be fine." Trump left open the possibility that the US would seek to establish bilateral deals with Canada and Mexico if talks were to break down. Trudeau told reporters in Washington DC that he agreed with the US president that that the NAFTA trade deal needed to be revamped and that any new agreement needed to "give citizens opportunities to succeed." "My optimism toward NAFTA, toward a renegotiation, isn't based on personality or reading political tea leaves," Trudeau said following his talks with Trump. "My optimism is because I know how good NAFTA has been for million of citizens of Canada, the United States and Mexico." However, the two leaders may have very different ideas about what a successful agreement might look like. Trudeau said he recognized that there were proposals in the deal that the US and Canada disagreed on, but insisted that the talks had begun on Wednesday "in good faith." Pressed over whether the NAFTA pact could degenerate into a series of bilateral deals, Trudeau said that his administration was "ready for anything and will continue to protect Canadian interests." Trudeau insisted that NAFTA talks kicked off in "good faith" Wednesday, although Trump has refused to commit to the pact. Trudeau said that he and Trump had discussed the Boeing-Bombardier dispute, which just this week saw the US slap further import duties on Canadian plane maker Bombardier's new CSeries planes. The move comes after US aircraft maker Boeing complained that its Canadian rival had received over $3 billion in subsidies from the Canadian federal government and the Quebec provincial government combined. Ottawa and Bombardier in turn accused Boeing of manipulating the US Trade Remedy System to try to stop a rival from selling on the US aviation market. Trudeau will travel to Mexico on Thursday to hold additional NAFTA talks with his Mexican counterpart, Enrique Pena Nieto. 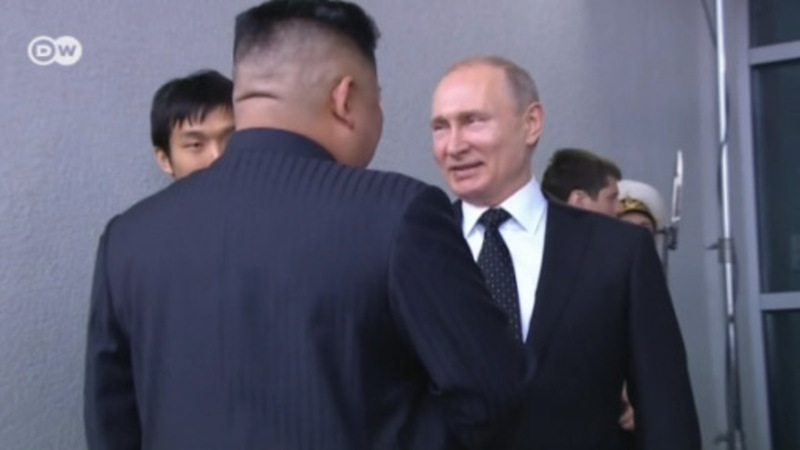 Both leaders are keen to see talks succeed. What does NAFTA mean to Mexico? Yet another high-level official is leaving the Trump administration. Kirstjen Nielsen had occupied three senior posts since she joined the government in January 2017.